A 4f Notepage is a collection of different kinds of content elements that are laid out on the page. You can easily add, modify and delete content elements on a page, as well as choose how to lay out the elements on the page for best possible readability and usability. Most content elements are interactive, and some may require internet access. We describe below the different kinds of content elements that can be placed on a notebook page. You can add a text element to a page. This element contains rich text, with support for text formatting, linking, pre-formatted text, different kinds of listings, headers and coloring options. Mathematical formulas are shown in the traditional notation, and can be edited without leaving this standard formula presentation. An image element displays a picture stored on your computer. The author, image licenses, source and additional notes relevant to the picture can all be stored in the image element. The content elements on a page can be structured, laid out, and highlighted in different ways using containers. The text container adds nice looking boxes around text, images and other material, and is used to give a consistent look and feel to assignments, examples, info boxes, and summaries. The table container may contain different content elements, making it a very versatile tool for structuring material side by side, or nested inside each other. 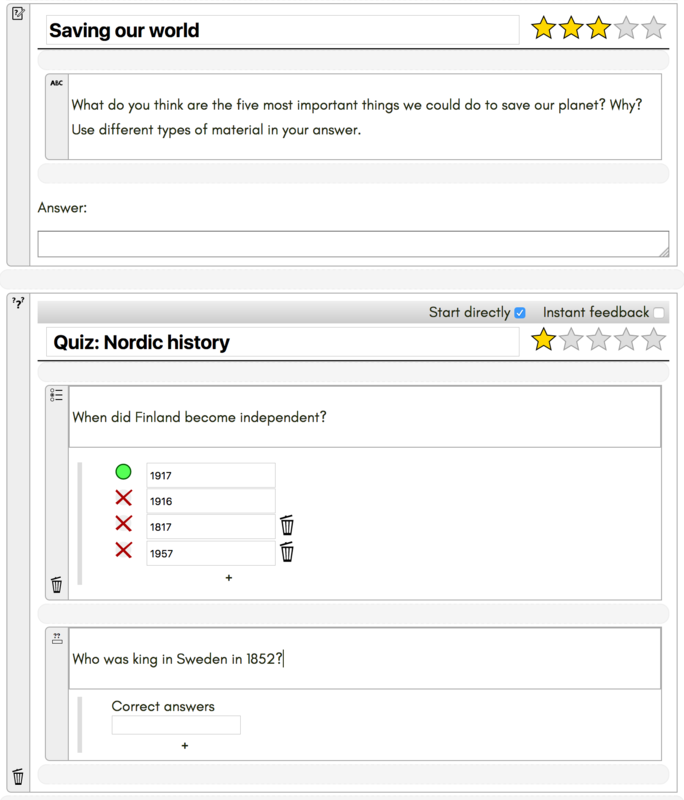 The quiz element can be used for automatically corrected quizzes with different types of questions (multiple-choice, short answer, shuffle). 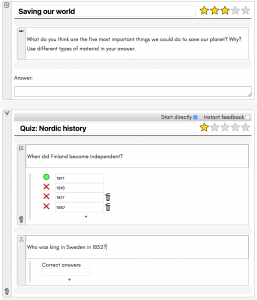 Content elements can then be used to create traditional assignments for students, including quizzes. 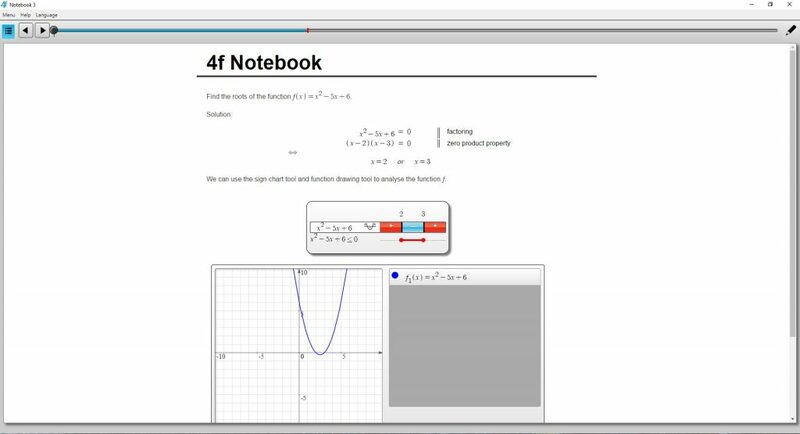 Students need not be restricted to only text and images when solving assignments and preparing their answers, they can also use embed videos, write mathematical text, or record their own audio and video. The math content elements allow teachers and students to produce mathematical content using standard mathematical notation. Solutions and examples can be written in the traditional way, or as structured derivations. 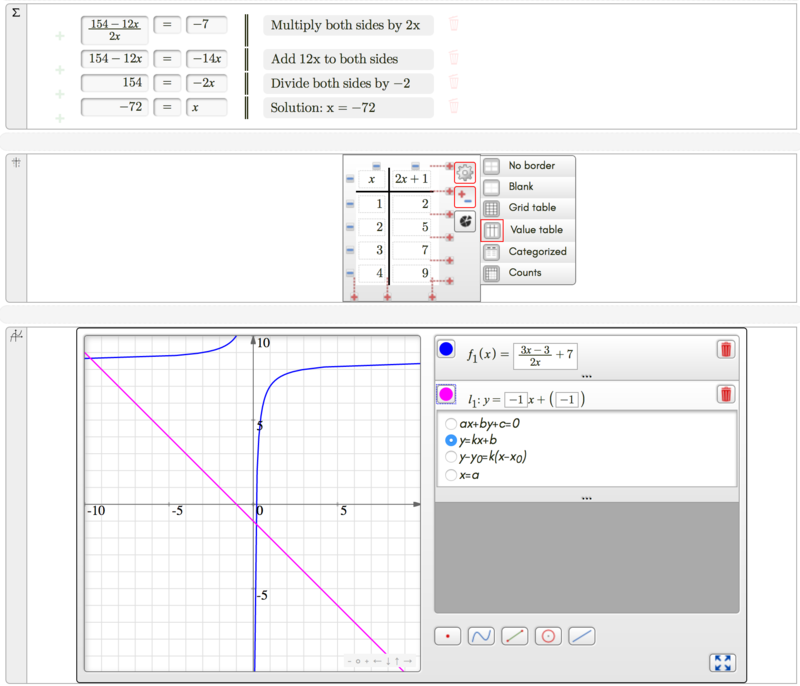 Mathematical symbols are entered by clicking them from a palette, or by writing simple shorthand keywords. 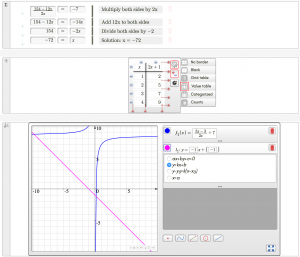 Other math elements allow the user to draw geometric figures, plot function graphs, or create tables with mathematical content and diagrams for statistical presentations. A code element allows the user to write and edit computer programs in a specific programming language. The editor supports the user in creating syntactically correct programs by highlighting code elements according to the syntax of the chosen programming language. You can create your own audio and video elements and place them on a page. The audio tools can be used by teachers for, e.g., recording the correct pronunciation of words and sentences in a language course, while students can use them to record their own pronunciation. Videos can be used in for example art classes, to demonstrate certain techniques (like oil painting or mixed media). You can embed any content you find on the web on your page. This can be a Youtube video, a Google map, a Geogebra editor, a soundtrack you find on the web, animations of physical systems, simulation tools, etc. Anything that comes with an embedding code on the web can be placed here.